Families with kids can find year-round fun in Vermont in the mountains for skiing, snowboarding, zip lines and canopy tours. Fun family adventures can include swimming and fishing, history museums and children's museums, and fun farm visits. Celebrations, festivals and activities for kids and adults happen year-round at the elegant Stowe ski area, reminiscent of grand European ski resorts. Lots of lodgings and waterfront resorts provide welcome and fun diversions for kids. 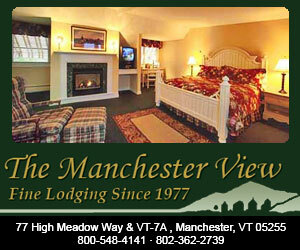 Click Here for Family Friendly Lodgings. 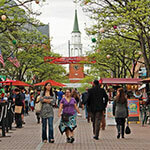 Do you know what they say in Burke, Vermont, about all the area’s fun activities? Get plenty of sleep, because there’s more to do tomorrow. That’s especially true in winter, where you and your family can make memories on ski slopes, iced-over ponds and exhilarating, scenic trails. 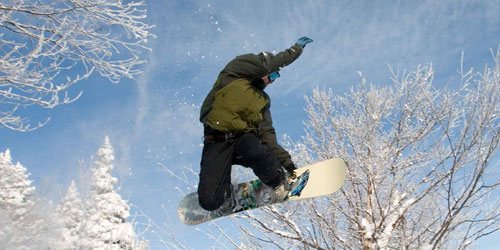 Burke Mountain features more than 2,000 feet of (uncrowded!) ski slopes. For the Nordic skiers, Kingdom Trails has groomed trails for skiers and winter bikers. Get the kids on a snowmobile and travel past villages and farmland. Go ice fishing on a lake, try an ice-climbing adventure, take a horse-drawn sleigh ride or engage in a little pond hockey. And remember to get that good night’s sleep! Tomorrow beckons. Family Fun at Vermont Teddy Bear! 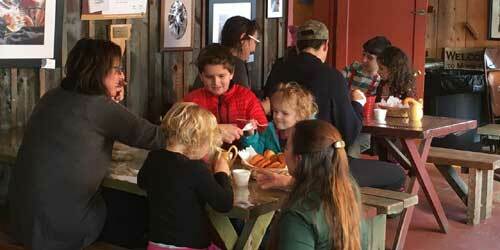 A visit to Vermont Teddy Bear is the perfect family outing! Pack a lunch, come meet Ted E. Bear and take a factory tour given by one of our knowledgeable Bear Ambassadors. During the tour, you’ll see how our Bears are made and kids get to decode a secret Bear message. 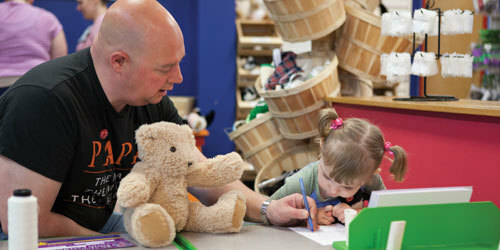 After your tour, stop in our Bear Shop and let the kids create their own Bear. Then relax outside with a well-earned lunch break at one of our picnic tables and toss a Frisbee around to finish off the perfect family day. All tour and store information is available on our website. Here is a farm with 200 years experience the whole family will enjoy with scenic views, four season fun, and lots of maple syrup, jams, jellies and other goodies to discover. The Morse’s do it right in so many ways whether its showing you their maple syrup process or presenting displays and artifacts and a humorous educational video in the Woodshed Theater. There are monthly events. 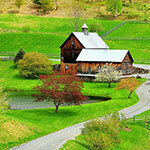 a nature trail, a country store filled with local crafts and gifts, and an outdoor farm life museum. The Ski Touring Center has cross country and snowshoe trails for sliding, snowmobiling and skating. Once sugarin’ time comes around in March, take part in their annual maple tastings. And don’t miss the sugar on snow. 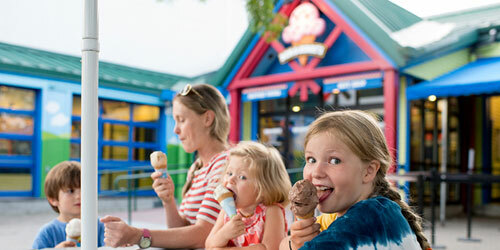 Here’s a scoop: The coolest family activity in Vermont is the Ben & Jerry’s Factory Tour. On the 30-minute guided tour, you’ll watch a short video in the Cow Over the Moon Theater, see the production room where the ice cream magic happens and sample the newest frozen taste treat at the Scoop Shop. Plus, you can visit the Flavor Graveyard, where 35 flavors have been permanently de-pinted (R.I.P. Wavy Gravy and Ethan Almond). There’s a play area for kids, and strollers are welcome. Feeling particularly adventurous? Start with a 30-minute Umiak snowshoe tour in the woodlands behind the factory! And don’t forget to bring home a quirky souvenir from the gift shop. Tickets are timed, so no waiting in long lines. 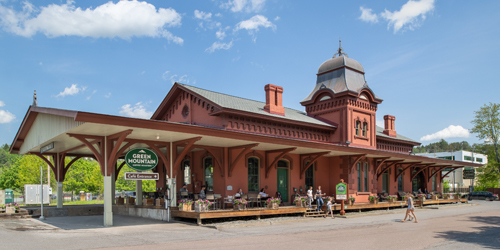 A visit to the Green Mountain Coffee Visitor Center & Cafe will prove to be an experience with something for everyone in the family. Part classroom, part historical landmark, this beautiful visitor‘s center is restored in 1875 Victorian Italianate style. An interactive display & video shows how our coffee is grown, harvested & roasted. You’ll find the gift shop full of coffee items, unique gifts and Vermont-made artisan handicrafts inspired by coffee-growing countries. The café offers fresh baked goods, sandwiches and enough delicious coffee to make your day a good one. Each day the coffee experience comes to life from your first sip! This environmental education center on the shores of Lake Champlain invites the public to learn about environmental conservation. Visits start at the Welcome Center with a slide show and samples of the farm’s award-winning cheddar. 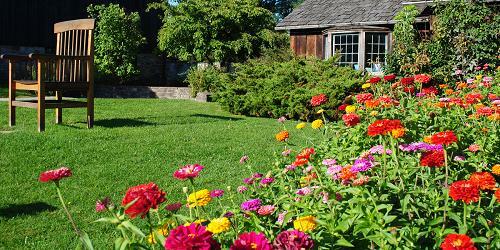 Kids and families can then explore the walking trails and activities at the Farm Barn, including the Children's Farmyard. Learn about quarrying and try it for yourself. The Cut-In-Stone Activity Center offers hands-on activities for children and adults. Sandblast-a-souvenir allows kids to create a memento of their visit. Other activities include geology explorations and learning the hand signals of the quarry derrickman. Check for seasonal changes in programs.